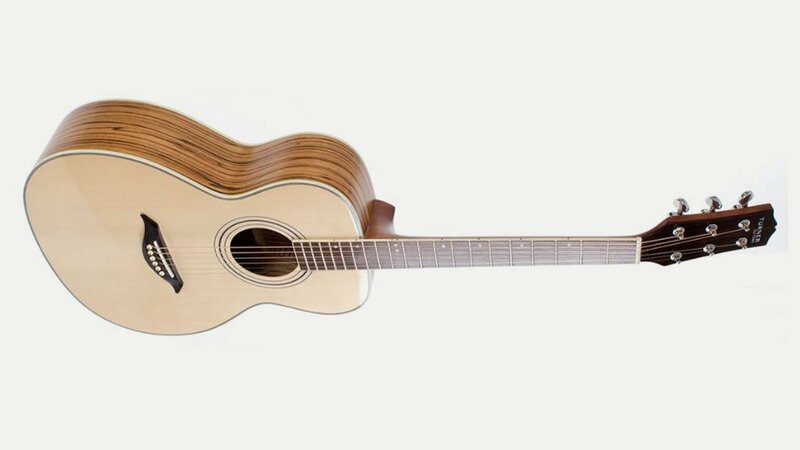 There is a great choice of budget and mid-price acoustics on the market and here, we take a look at a couple of UK designed, Turner acoustic guitars, a brand that you may not have come across before. Turner make their guitars in the Far East and set them up here at their UK premises. With 45mm wide nuts their guitars are great for fingerpicking and strumming. A solid spruce top paired with ‘Ovangkol’ back and sides. Ovangkol whilst tonally similar sounding to rosewood offers a slightly ‘fuller’ midrange voice, ovangkol has a high end that is not quite as bright as maple. Always popular amongst Turner Guitar players the 40 series are real ‘lookers’ and do stand out from the crowd. This model sounds particularly good for blues and fingerpicking styles. A solid ‘Cedar’ top paired with solid ‘Mahogany’ back and sides that radiate a warmth of tone that could easily melt chocolate! The colourful midrange from the mahogany & smooth warmth & clarity from the cedar will encourage and inspire your creativity.